If you’re looking for the best bachelorette party ideas Atlanta has to offer a charming city break in this Southern gem is a must! Atlanta is not only graced with southern hospitality but fabulous shopping districts, cocktail lounges and sweet little day spas to boot. Here at Butlers in the Buff we know how stressful it can be to organize a bachelorette party. So we have made things a little easier and gathered our favorite bachelorette party ideas for Atlanta! A day of pampering is a must, and there’s no better place to indulge than Buckhead. After shopping the high end boutiques (even if it’s just window shopping) drop by the luxe spa at the Mandarin Oriental Hotel. Home to the largest spa in Atlanta complete with steam, sauna and an outdoor terrace perfect for sipping champagne between treatments. Or bring the spa to your home or hotel suite—Spa Parties Anywhere transports that soothing ambiance right to your doorstep. Have your Butler in the Buff on hand to serve refreshments while your girlfriends wait for their treatments. He’ll be a handsome distraction in his little apron, collar, cuffs and bowtie! Plan in a few bachelorette party games before you get ready for the evening. 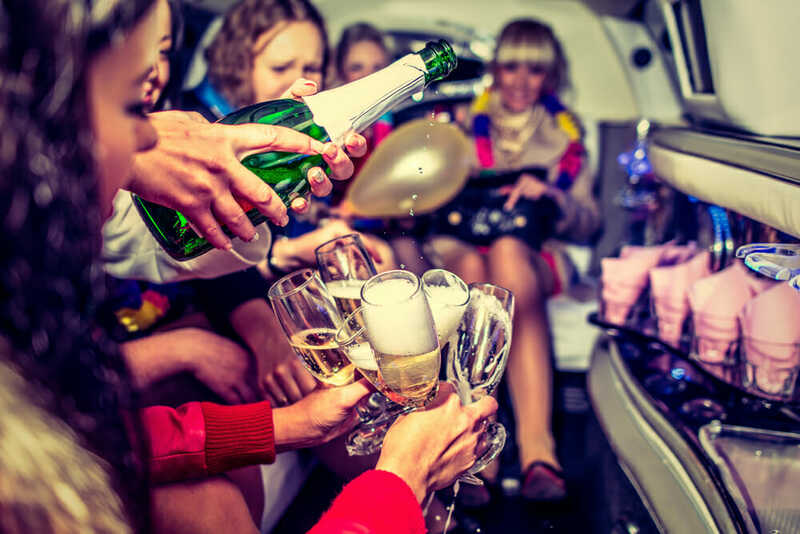 For great bachelorette party ideas Atlanta and on how to get your butler involved check out our party games page to get your Atlanta bachelorette party started! For a bar hop alternative why not book a private wine tasting at Vine and Tap learn all about selecting wines(useful for the big day) and enjoy delicious food to compliment. Then head to the Havana Club for dancing, VIP bottle service reservations are a must to avoid waiting in line! Whiskey Blue serves up carefully crafted cocktails you can sip the evening away on from their chic outdoor patio. Let Cosmo or the Lava lounge sweep your bachelorette party away into the night! Both are bachelorette friendly venues and worth getting in touch with for special packages. Why not surprise the girls with a fabulous room service brunch served up by a handsome Butler in the Buff? Ask us how and we’ll share some great ideas on how to pull it off! Or venture out for some traditional southern fare at Ria’s Bluebird . Their pancakes with pecans and caramelized bananas are not to be missed! A great way to wrap up your Atlanta bachelorette. Don’t forget, if you know someone who would make the perfect Butler in the Buff we are always recruiting across America and Canada. They can apply online here.